We stayed with friends who live between Yonge and Bloor and Church and Wellsley in the Big Smoke before Christmas, after New Year’s and again when our flights to Dublin were cancelled due to the Polar Vortex. 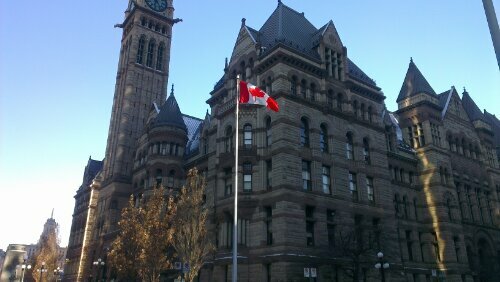 During this time we had plenty of time to get better acquainted with Ontario’s capital (and the city most foreigners think is the real capital of Canada) during our first winter together up north. We saw Canucks skating, walked the underground tunnels between shopping centres and subway stops and tried our best to stay warm in the -40 conditions. 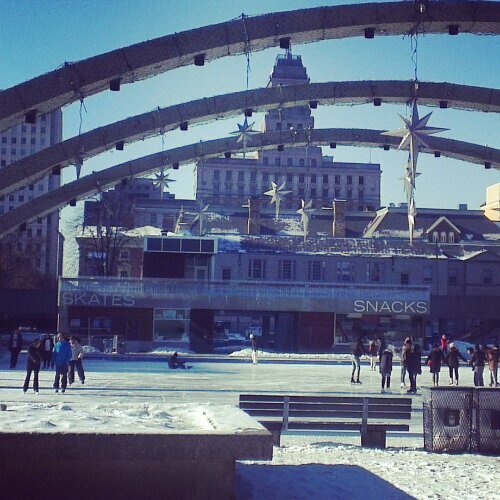 We moved briskly between the toasty apartment, cafes, Eaton Centre and we even slid along the park on the way to Steam Whistle Brewery near the frosty Financial District. 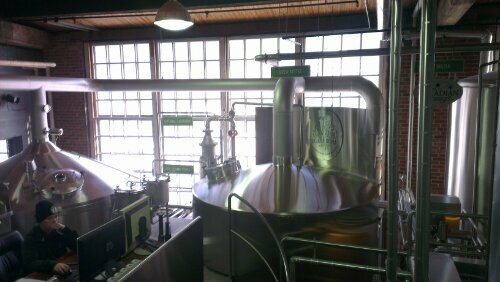 Here, we sampled pints while we learned of the story behind the ‘Three Fired Guys’ who brewed the little beer that is all natural and crisp, with a company focus that’s as green as the bottle itself. 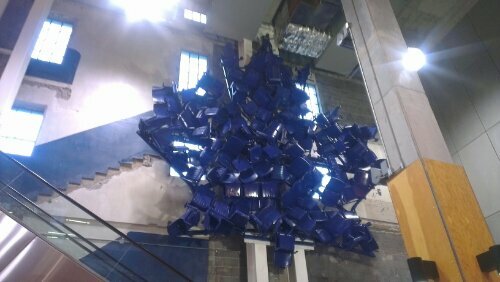 We shopped in the former Maple Leaf Gardens, which is now a grocery chain with centre ice located beside the Asian ingredient aisle. You can stand and pretend to drop the puck before you pick up your spices for the week. 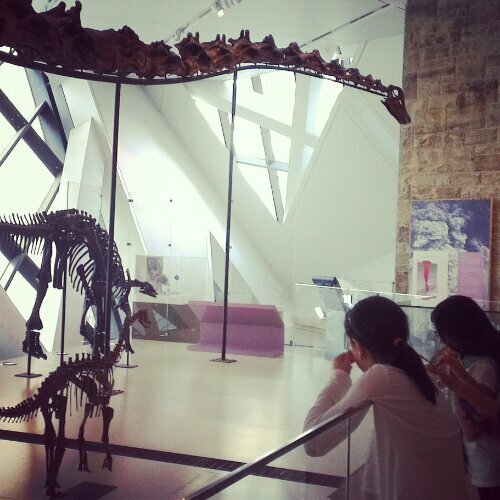 We marveled at the dinosaurs and cultural displays at the Royal Ontario Museum, dodging school tours along the way. 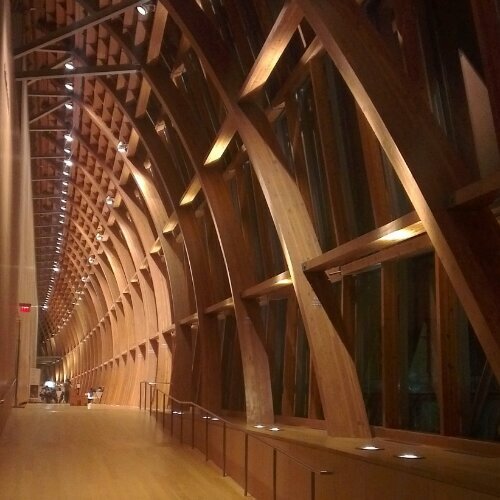 I also had the chance to pop by the Art Gallery of Ontario with my friend for their free gallery night where we watched locals learn how to salsa. We ended our trip with an evening in Koreatown sampling delicious goods, topped off with a night belting out classic rock tunes in a karaoke bar. 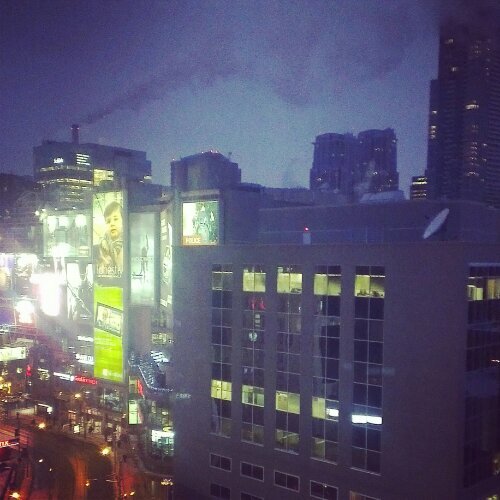 Were we the only tourists wandering around in Toronto during the coldest winter in 20 years? Quite likely but at least we made the most of our time there!